Well we’ve just finished another of our joint metal sculpture courses and it has been great fun again. This time we had an entirely female course, four women who’d never welded before. Their initial ideas ranged from not really knowing what to make at all through to having very ambitious ideas and templates with laminated instructions and jigs. 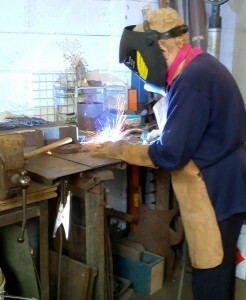 Once we’d gone through the basics of how to weld and plasma cut and use various tools their plans altered a bit. 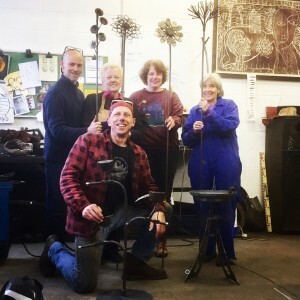 Then by the end of the weekend after we’d made countless hot drinks and lunches on both days everyone went home with a finished piece of sculpture made entirely by themselves (with a bit of input / guidance from us). Our next course and the last one for this year is on November 10th and 11th and there are still places available. We’ll definitely be doing more dates for next year once we’ve got 2019 diaries. This entry was posted on 19th September 2018 by mick.